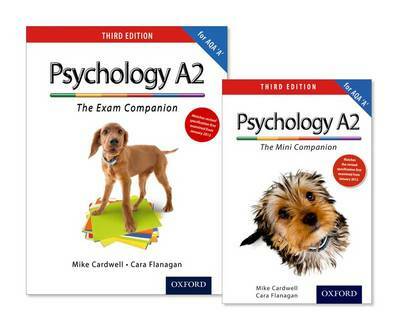 Written by the best-selling, experienced and trusted psychology authors Mike Cardwell and Cara Flanagan, this Limited Edition A2 Complete Companion Revision Pack contains both the A2 Mini and A2 Exam Companion at a great price. The A2 Mini Companion contains all the essential facts in a concise format. The A2 Exam Companion provides the most comprehensive set of possible questions, answers and expert commentaries. Combined they provide all the revision materials a student needs to boost their grade and get the best possible exam results.